How well does your team handle out of system balls? Improve their performance with this drill using a stability ball. In this exercise, a coach creates an out of system play by hitting shots off a stability ball at the net. As the ball ricochets into the court, passers must chase after it and make the play. The goal is to get players to start low and scramble for every ball, whether that means digging a hard-driven shot or running down a wild deflection. 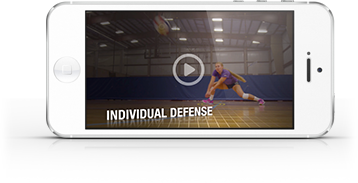 Watch the video for a demo of this unique defensive drill.